Bolton Landing & Lake George Restaurants In Upstate NY Including Glens Falls On Menu Mart! A vacation on Lake George is like no other. Come and see why this area is one of the premier vacation destination areas in the Northeast! Lake George provides spectacular views and a peaceful environment to help visitors unwind from bustling days and hectic schedules. Some of the outdoor activities that take place in these regions are camping, hiking, boating, rafting and fishing. The nightlife in Lake George is young and hip, with trendy bars and posh restaurants. Visitors can choose from a wide array of cuisines and ambiance. Enjoy delicious food by a cast iron fireplace, while looking out at the spectacular views of the Adirondack Mountains, or dine dockside overlooking the pristine lake. Dinner theatres and family-style restaurants are also prevalent in this area. Lake George is your one place for great food and great attractions. 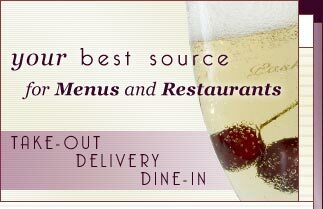 Check out MenuMart.com for Lake George restaurants. Situated on the shores of Lake George, Bolton Landing is a quiet resort town overflowing with beautiful scenery and Adirondack charm. Walk down the main street and find unique shops and delightful eating establishments. Venture towards the waters of Lake George and enjoy excellent lakefront dining. From lodges and grilles serving up family-friendly fare, to superb seafood restaurants, Bolton Landing has something for everyone! Hometown U.S.A! Glens Falls NY is on the border of the Adirondack Park Region and is nestled between the Hudson River and the great mountains. Only a short drive from Saratoga, Glens Falls is an ideal location for those who love outdoor activities. People are always on the look-out for great food and Glens Falls has an assortment of possibilities. Settle your cravings by checking out the fabulous listings of Glens Falls restaurants. Come to Glens Falls to find great Irish pubs with tantalizing food and drink menus, to mouth-watering steakhouses, to even Thai cuisine! Look no further than MenuMart.com to help you find these scrumptious establishments in this charming Upstate New York city.